Data-driven technology providers such as Google, Apple, and Microsoft control the operating system (OS) market for smartphones, tablet PCs, voice-automated products, connected products, and PCs. They also employ aggressive surveillance and data-mining business practices that enable each OS developer and their affiliates (e.g. Amazon, Facebook, Baidu, etc.) 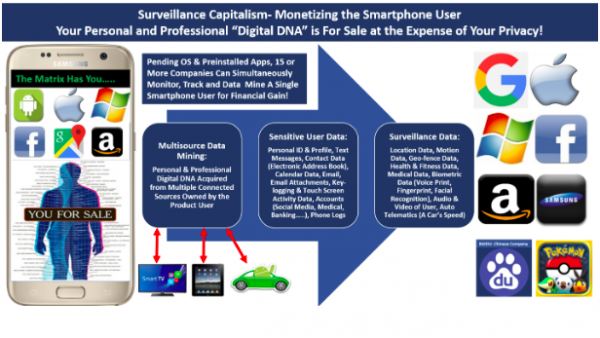 to indiscriminately monitor, track, and data-mine the smartphone, tablet PC, and connected technology user for financial gain. To put this in perspective, this type of access to smartphone users is no different than if AT&T sold access to home and office phone and PC users to multinational companies. The OS is the conduit to the smartphone, tablet PC, and technology product user, which means that Google, Apple, and Microsoft have a huge advantage over any existing or future competitor. If OS developers are the conduit to the product user, then the telecom provider (e.g., AT&T, Sprint, Verizon, T-Mobile) is the conduit to the telecommunications subscriber (“paying customer”) and any other authorized device users, such as spouses, employees, or kids. Together, OS developers and telecom providers control access to the product user, making companies such as AT&T, Verizon, T-Mobile, Sprint, Apple, Google, and Microsoft the most powerful companies in the world. Collectively, these companies have monetized their customers, which means these companies are exploiting their customers for financial gain, at the expense of the customers’ civil liberties, privacy, cyber security, and safety. The exploitation takes place when each telecom provider and OS developer acquires personal and professional telecommunications and data from the product user’s device to exploit for financial gain without compensating the user for the use of the telecom-related information. Telecom providers are exposing their users to data-driven technology providers, who employ predatory and harmful surveillance and data-mining business practices that I believe are illegal, according to existing consumer laws. There is a clear conflict of interest between the OS developers and their affiliates, and telecom providers regarding the negative impact on the product user’s privacy and security as a result of the predatory surveillance and data-mining business practices. Aside from privacy and cyber security concerns, there are also potential violations of existing law associated with antitrust and unfair business competition that the Federal Trade Commission (FTC), Federal Communications Commission (FCC), Department of Justice (DOJ), and lawmakers need to address. One of the main concerns centers on the fact that companies such as Alphabet Inc. (Google)—which, since 2001, has been involved with more than 200 mergers and acquisitions—compete in many industries worldwide, yet are allowed to indiscriminately surveil and data-mine U.S. telecom product users, giving Google and its affiliates a huge advantage over their competitors. This advantage is enabled through the provision of pre-installed surveillance and data-mining technology in the form of apps, widgets, and other intrusive content that the product owner can’t uninstall or, in many cases, control. Due to this uncontrollable pre-installed technology, OS developers such as Google, Apple, and Microsoft are enabled to sell access to their product users, as well as telecom product users, to their affiliates, such as Amazon, Facebook, and Baidu. Many people frankly don’t want anything to do with Google or Google’s predatory surveillance and data-mining business practices, but these people are finding it increasingly impossible to escape Google, because of what I believe are antitrust violations, coupled with unfair business competition practices. The reason has to do with deals that Google is cutting with original equipment manufacturers (OEMs) who manufacture smartphones, tablet PCs, connected products, PCs, automobiles, and even home appliances, such as refrigerators. Aside from telecom products, OEMs who manufacture everyday electronics such as appliances, speakers, radios, headphones, and other common electronic products are making deals with Google, Apple, Microsoft, and Amazon in order for their products to be connected to the internet by way of the product’s OS or a voice-automated assistant, such as Alexa. OEMs are putting Google, Apple, and Microsoft OS-, app-, and voice-driven cameras and microphones into all electronics these days, ensuring that the OS companies and their affiliates such as Amazon can indiscriminately monitor, track, and data-mine the product user for financial gain, whether the user wants to participate or not. Due to exclusive deals cut with OEMs, no person will be able to escape companies that employ predatory surveillance and data-mining business practices. CNBC wrote an article based on this fact, in relation to CES 2019, titled, “Amazon and Google Are Going to Be in Every Aspect of Your Life Whether You Want Them or Not.” The article corroborates the clear antitrust and unfair business competition practices discussed here. The monopoly, with regard to controlling telecom products, electronics, and connected technology by the OS developers, is negatively affecting civil liberties, personal privacy, cyber security, safety, business competition, and innovation, and needs to be addressed by all government agencies and lawmakers. 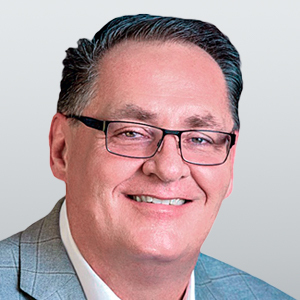 Many companies that rely on brick-and-mortar retail locations are at a disadvantage because of the ability to order products and services over the internet from dominant online marketers such as Amazon; this is okay because it’s a sign of business evolution. However, many brick-and-mortar and smaller retailers are financially unable to buy access to smartphone, tablet PC, and connected-technology users in the same way that Facebook and Amazon have the ability to buy access to telecom subscribers and Google, Apple, and Microsoft OS users. Companies such as Google, Apple, and Microsoft imply that they don’t sell the product users’ identifiable personal and professional information that each company collects from product users. However, these companies don’t publicly disclose that they sell access to their users to their affiliates and/or companies such as Amazon, Facebook, Twitter, and even Baidu, a nation-state company from China that is a Google content developer, as I discussed in a previous article. This means that any existing or new company seeking to market to smartphone, tablet PC, and connected technology users has to go through the telecom providers plus Google, Apple, and Microsoft, who demand billions from companies that want access to their users. As previously mentioned, companies such as Google, Apple, and Microsoft sell access to their product users through the use of uncontrollable pre-installed apps, widgets, and other intrusive content. Established and new businesses that wish to compete within the online marketplace can only gain access by creating third-party apps that are distributed with millions of other apps through Google, Apple, and Microsoft’s online app stores, putting these businesses at a huge disadvantage to pre-installed apps. There is a clear competitive advantage awarded to companies that develop the uncontrollable pre-installed content that supports mainstream products such as smartphones, compared with companies that have to develop third-party content distributed via app stores, which stifles competition and innovation. Pre-installed content is forced onto the product owner, versus apps that have to be purchased and/or downloaded from sources such as app stores. Smartphone owners have no choice about which apps are pre-installed. Additionally, the smartphone owner is given no control over uninstalling the unwanted apps. 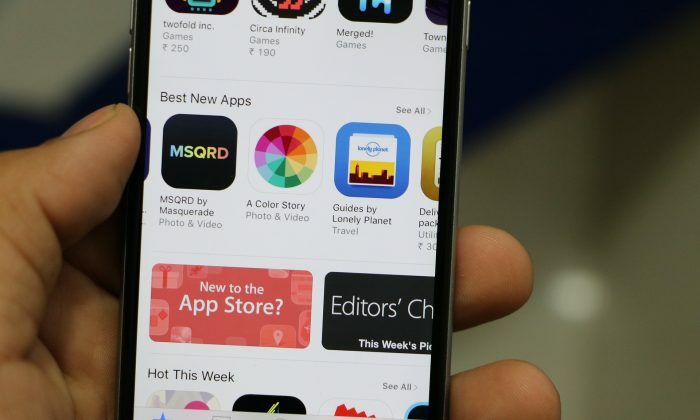 A recent Bloomberg article pointed out that Samsung smartphone users can’t uninstall the Facebook app, which is a clear example of why companies such as Google, Apple, Microsoft, Facebook, and Amazon hold a huge advantage over rivals or new companies that are forced to distribute their apps via app stores. As a result of deals between telecom providers, OEMs, and OS developers, consumers are being forced to use addictive, intrusive, harmful, and exploitive apps developed by the tech giants. Consequently, smartphones, tablet PCs, TVs, voice-automated products, connected products, connected automobiles, and PCs are no longer private, secure, or safe products to use, due to the predatory and harmful surveillance and data-mining business practices employed by the OS and app developers. Companies such as Apple will sell access to their users to competitors such as Google, which Fortune and Business Insider reported in 2018. These types of relationships enable only a few companies to control the online marketplace. With the exception of Walmart, most other established or new companies that are trying to compete within the digital marketplace are being crushed because of Google, Apple, and Microsoft’s control over smartphone, tablet PC, and technology product users. The key to fair competition within the online marketplace of the future will be the ability for established and new companies to gain fair access to smartphone, tablet PC, and technology product users in general. As long as telecom providers and Google, Apple, and Microsoft control access to their users, by way of uncontrollable pre-installed surveillance and data-mining technology, these OS developers and their affiliates will dominate the online marketplace, virtually unchallenged by way of violations of antitrust law and unfair business competition. In part 2 of this series, I’ll address privacy and cyber security threats, plus the fact that the FCC, FTC, state attorneys general, DOJ, and lawmakers aren’t addressing antitrust and fair business competition, and aren’t enforcing existing consumer and antitrust laws.